The AFRICA learning community will incorporate classes that emphasize discovering and better understanding the vast continent of Africa. 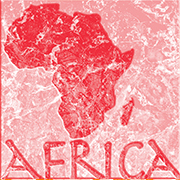 Special attention will be focused on dispelling common misconceptions and assumptions about Africa, and how Africa relates to the rest of the world. This course will present inter/multi-disciplinary perspectives on sub-Saharan Africa with a focus on the many factors - society, politics, economics, culture, literature, religion, and the ecology - which have shaped the region and impact its role in our world today. This course will also combat negative stereotypes associated with the continent. This course explores indigenous, traditional, and contemporary African religious expressions and belief systems with special attention to the particular location in which the course is situated. Through assigned readings and engagement with select African religious rituals and practices, this course seeks to give greater insight and understanding into the reasoning, practices, and expressions of African religions. This course is your gateway into a new language that is spoken and written by scholars and professionals across fields. It is one of the most important classes you will take in college not only because it will help you read, write, and think on a sophisticated level, but because it will help you cultivate your own writing voice that is inventive, authoritative, and thoughtful. This class will also foster an appreciation for the importance of process and rewriting to analytical thinking. You will do a great deal of careful reading and analysis of texts of all types and genres, which will provide the material for persuasive and carefully argued academic papers. You will learn how to identify credible sources (scholarly and non-scholarly) and to situate your own ideas in relation to them. Relatedly, you will learn about "academic integrity," which includes, but is not limited to, questions of plagiarism and the responsible citation of your sources. You will start thinking about how you can put these skills to work in your life as an educated citizen, a trained professional, and a graduate of Duquesne University. Since this course is a part of the AFRICA learning community, there will be some emphasis on Africa, its peoples, cultures, perceptions, and the contemporary issues that characterize them.